There are few condiments I can’t live without, but vinegar is certainly in that category. In addition to the scrumptious flavor, the stuff has alleged skin benefits. As Women’s Health reported, vinegar can help balance your skin’s pH levels, contains alpha-hydroxy acids, and has anti-inflammatory properties. Apple cider vinegar inparticular has many uses that’ve been lauded by natural beauty enthusiasts. Vinegar is made by basically converting sugars intoalcohol and then alcohol into acid. The fermentationprocess vinegar is what gives it the antiseptic qualities that kill germsand bacteria. Apple cider vinegar potentially boasts additional minerals and nutrients: Since it comes from apples, it may contain pectin; vitamins B1, B2, and B6; biotin; folic acid; niacin; pantothenic acid; and vitamin C, according to an article on WebMD. The possibility of these vitamins and nutrients alonemake ACV a popular ingredient for home remedies for a variety of personal hygiene and beautyissues. Apple cider vinegar’s antibacterial properties aren’tlimited to beauty ailments: Herbalists like myself use it in internal potions as a natural way to support the digestive and respiratory system. 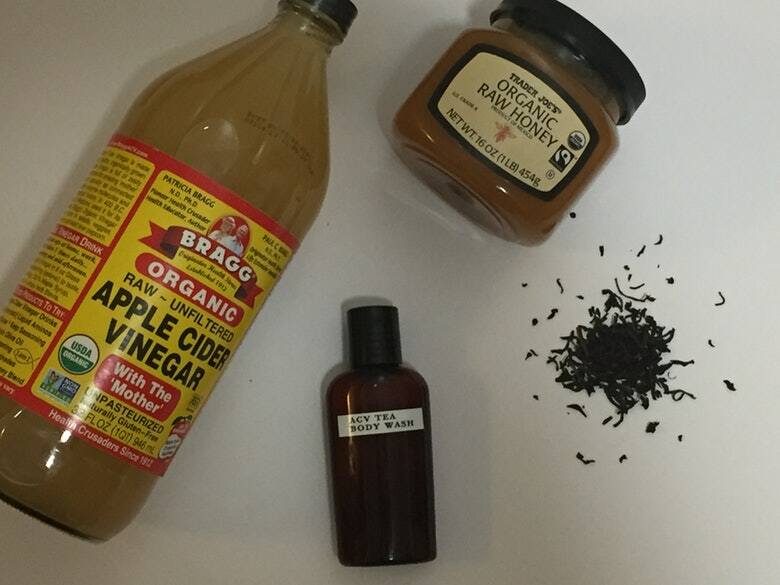 With a lengthy list of waysyou can use ACV, it’s no wonder this condiment continues to dominate natural remedies and personal care hacks. 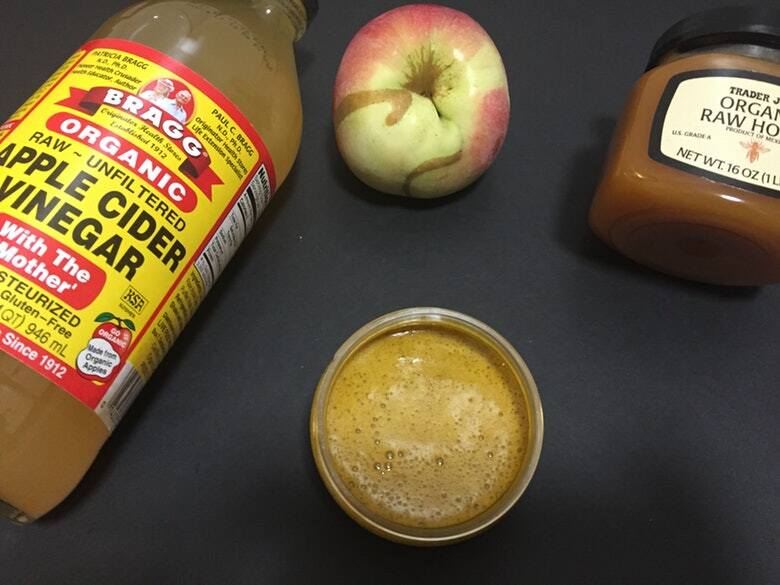 Here are eight of my favorite ways to use ACV. 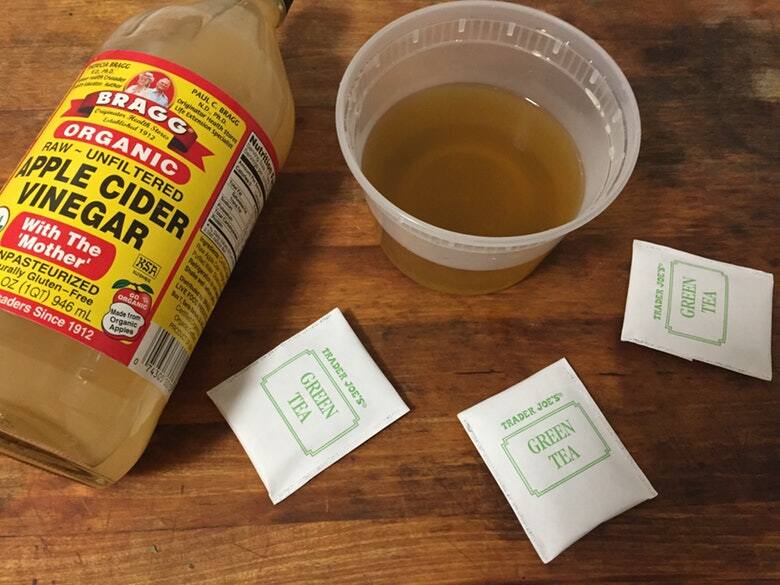 Traditional soap isn’t my style, so I like to stick to cleansing with an apple cider vinegar-based tea. According to the U.S National Library of Medicine, vinegar has been used to clean wounds from as early as 420 BC. The article goes on to wisely point out that ACV is no longer the best option for inflamed or open wounds, but there is plenty of anecdotal evidence out there to have DIY beauty lovers like myself reaching for a bottle of ACV for its potential antibacterial properties. Body teas are super easy to make: Simply brew a cup of a nourishing tea, rich in skin benefits (I like assam which is a stimulating, black tea and chamomile which has substantial antiseptic qualities while being super gentle on the skin) and a tablespoon of rawhoney. The raw honey is essential, especially when adding ACV because it’s pH balancing and I’ve found in my own practice that this limits irritation from acidity. Store your body tea in the fridge toprolong its shelf life, and use it as you would a body wash. When my cystic acne is flaring up, I’ve found apple cider vinegar to be one of the best treatments for my skin. The most effective application technique I’ve found has been adding it to a facemask, rather than just applying the stuff directly as a spot treatment. I use 2 to 3 ounces of granulated raw honey as my base to provide a slightly exfoliating consistency that tends not to irritate the affected area on my face. Next, I add half a tablespoon of organic turmeric to soothe inflammation. Since this mask needs to be powerful to treat cysts, I add a teaspoon of baking soda because it’s highly antiseptic. Since it’s also very alkaline and this recipe contains some powerful cleansing agents, I add a teaspoon of raw oat powder. The oat powder and honey work together to heal and balance the antiseptic ingredients that could otherwise cause dryness or irritation on the skin. You can whip this mask up in the container you’ll be storing it in, blending the mask manually or in a blender. Keep this mask on for up to 10minutes and rinse well with lukewarm water. Follow-up with your moisturizer of choice to further prevent any dryness — I personally like how gentle tamanu oil feels on my skin. At the end of a long day on my feet, nothing is as soothingas a nice foot soak of apple cider vinegar. 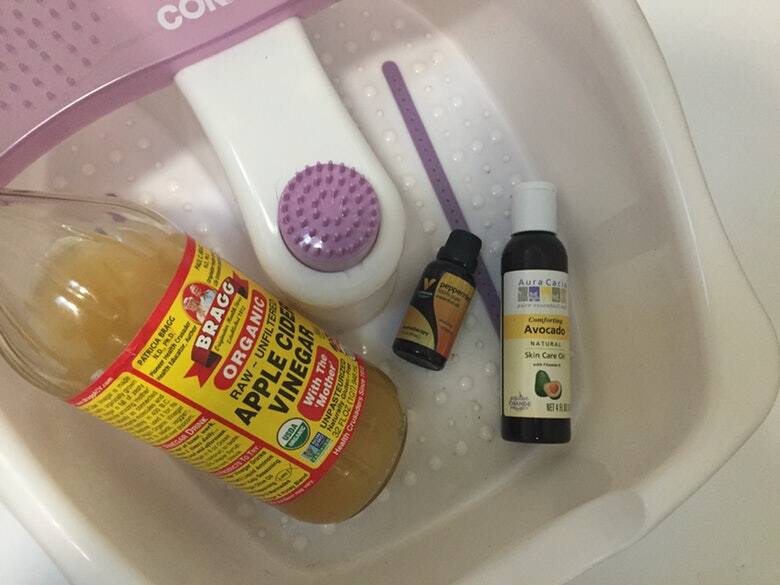 Not only can ACV help removeodor from your feet by creating an antibacterial environment, but accordingto natural beauty blog Wellness Mama, an ACVsoak can help rid toxins from your entire body. Since the pores on the bottoms of our feet are larger, many experts believe it’s fastest way to absorb products which is why foot detoxing has become so popular among the natural set. Even though there haven’t been many studies to back that all up yet, I personally find the soothing effect of an ACV foot bath is more than enough reason for me to indulge in this practice. Since ACV tends to be drying, I like to dilute it with a moisturizing fixed oil like avocado oil and peppermint essentialoil to make my feet smell minty fresh. As dermatologist Dr. Debra Jaliman told HuffingtonPost.com, there is no way to permanentlyshrink your pores size. The closest thing you can get is with Accutane, which will reduce them — until you complete theprescription, at which point they return to their natural size. Like many products withpore-reducing claims, it does so by shrinking our protective oil glands andzapping moisture from your skin. If you’re looking to go the more natural route, I’ve found that ACVcan temporarily reduce the appearance of my pores. Keeping pores unclogged will make pores look smaller, dermatologist Noelle Sherber, M.D explained to Teen Vogue. Since apple cider vinegar is an astringent, it has the ability to tighten while keeping pores clean and free of debris. 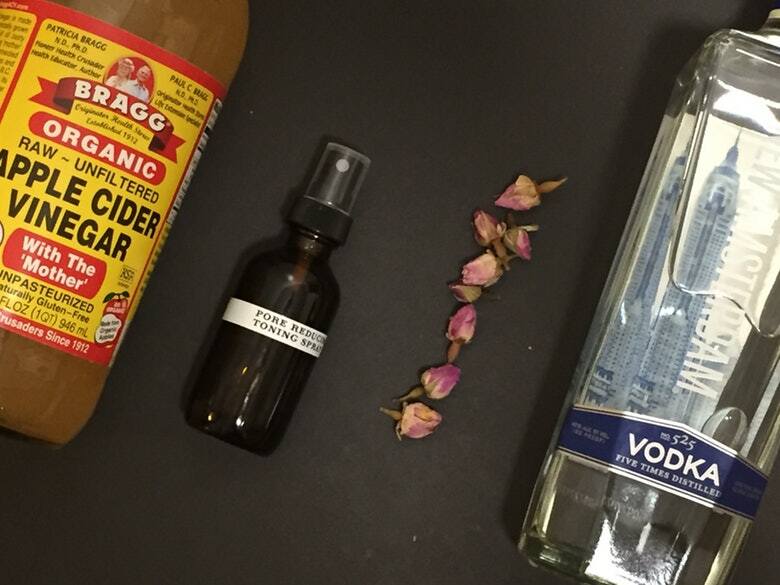 For my favorite DIY toning spray, I start with a rose water base, then add a small amount ofapple cider vinegar and vodka. It may sound strange that something so acidic could be goodfor inflamed, itchy skin, but some swear by apple cider vinegar to the heat away from the blistering skin of asunburn. Considering the data previously mentioned from the U.S National Library of Medicine that ACV was used to heal wounds and is an anti-inflammatory, it makes sense that it could soothe that nasty redness. Of course, I first want to recommend the daily use of SPF to avoid sunburns altogether. Also, while Dr. Oz seems sold on this home remedy for sunburns, I encourage folks to check in with their own PCP or naturopath to make sure it suits your skin type. 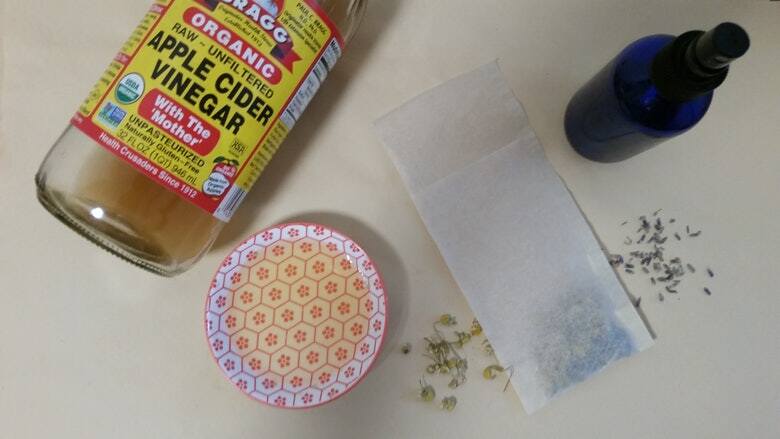 Once you’ve got the green light, you can try this sunburnspray recipe: Use a tablespoon each of chamomile flowers and lavenderbuds in a loose teabag to brew a tea in about 8 ounces of water. Both botanicals have soothing anti-inflammatory and cleansing properties and the tea will help support the stimulating properties of the ACV. Once my tea has reached room temperature,I add about four and a half tablespoons of apple cider vinegar and transfer to a 12-ounce spraybottle. Use this liberally on affected areas, avoiding any open areas on the skin for safety. 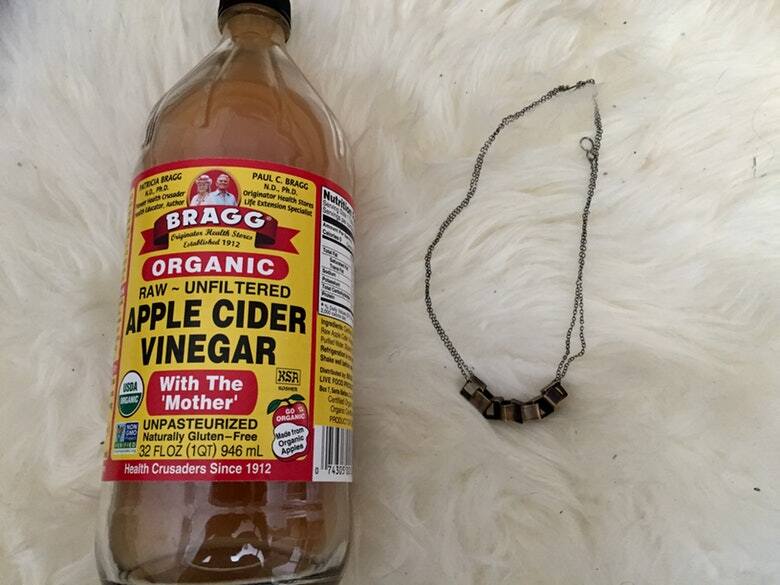 That’s right, the cleaning properties of ACV are not limitedto your body: The antiseptic and antibacterial qualities of apple cider vinegarcan clean jewelry without eroding the metals overtime. According to jewelry artist, Morgaine Faye, you should always clean your jewelry with a polishing cloth regardless of your method of choice. Just stay away from usingACV on stones; stick to silver, copper, and gold and you’ll be golden. Vinegar has kept my ‘poo-less lifestyle afloat for years: I’ve found that itcleans and disinfects my scalp without stripping the hair’s natural oils weneed for hair growth. You can make a weekly apple cider vinegar hair rinse with wateror an infused water with tea or roses and rinse thoroughly before conditioning. According to The Huffington Post, this is a great alternative to shampoo for all hair types and particularly any dandruff sufferers in search of natural relief. As dermatologist Dr. Marie Jhin told CNN.com, apple cider vinegar because the acidity can slough off dead skin cells and contains mild anti-fungal properties. There are different causes of yellow stains on your nails,but if you’ve ruled out your nail polish or base coat as plausible culprits youmay want to try using apple cider vinegar, a popular home remedy for fungus in nails due to ACV’s anti-fungal properties. 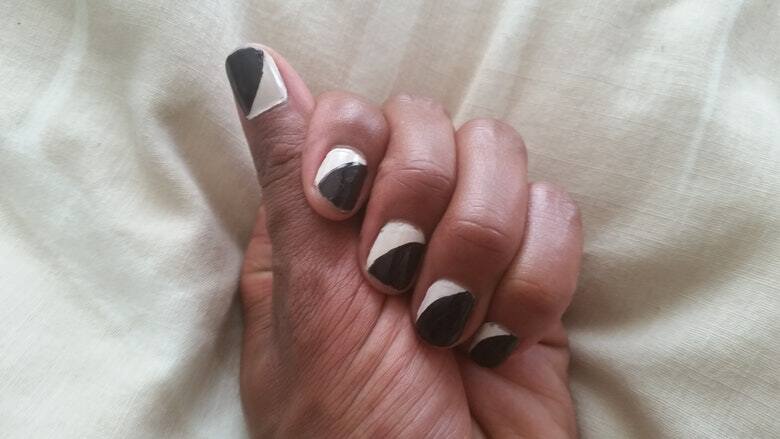 According to this post from Dr. Jockers, DNM, DC, MS, a doctor of natural medicine, ACV can be applied directly on the nail to remove yellow stains when a fungal infection is present.